As a historian of American messianic movements, I often find myself indulging suppositions that might seem a bit far-fetched to the ordinary person – which is to say, to anyone unacquainted with these movements and the long tradition of messianic communalism that unites them. I formulated one such hypothesis as I conducted research related to Rev. Thomas Lake Harris, a British-born Universalist minister turned Swedenborgian spirit medium who made a name for himself by channeling the souls of such departed literary dignitaries as Samuel Taylor Coleridge and John Keats. Harris ended his days in 1906, scribbling verse and visions that he received during the trance states he experienced in a New York City brownstone owned by his third wife, Jane Lee Waring. The couple had previously resided on a commune Harris established in Sonoma County, California in 1875, but had departed in 1892 under a cloud of controversy. In December of the preceding year, a bluestocking investigative reporter by the name of Alzire A. Chevallier had published a damning exposé of Harris’s communal society in the San Francisco Chronicle. Chevallier alleged that Harris and his disciples, who operated a renowned winery, indulged in polyamory and had instituted a debased form of religious servitude that verged on slavery. Although the features of this narrative might seem faintly familiar to students and former members of Peoples Temple, it’s not the story that hatched my theory. The tale of Thomas Lake Harris and the Brotherhood of the New Life is a marvelous one indeed, and demands its own telling, but this is not the occasion. Rather, it is another figure, a former teacher to Rev. Harris, whose ghost returned to haunt me as I delved more deeply into my research on Jim Jones and Peoples Temple. The man in question was Andrew Jackson Davis. In 1846, when Thomas Lake Harris was but a newly-minted Universalist minister from upstate who’d recently lucked into a prestigious New York City congregation, Davis was fast becoming one of the most celebrated intellects in the city’s progressive reform circles. In November of the year before, Davis had resettled in Manhattan, where he burnished his reputation as one of the finest mesmeric clairvoyants in the city and, indeed, the world. Mesmeric clairvoyance was a fad of late eighteenth-century origins; its namesake was Franz Anton Mesmer, the astrologer and physician who developed a theory known as animal magnetism, which posited that an invisible fluid connected all bodies and beings. Although not perceptible to the naked human eye, this medium, like electricity, could be manipulated to produce certain effects. As the term “magnetism” suggests, Mesmer believed that animal magnetism operated according to magnetic laws that, once discovered, would offer a scientific explanation for the cosmic motions of the heavens – i.e., the forces exerted by planets and other celestial bodies – as well as reveal the causes of poorly-understood diseases and maladies in human bodies on Earth. In Vienna and later in Paris, Mesmer attempted to manipulate the unseen magnetic force through experiments involving an early form of hypnosis that came to bear his name. Although ridiculed by Benjamin Franklin and other members of a French government commission charged with evaluating the merits of mesmeric healing, the science of animal magnetism continued to find new practitioners. These enthusiasts were drawn in by precisely what made the practice seem so fishy to Enlightenment scientists. The connections of animal magnetism to astrology and the wider Western occult seduced the interest of the Marquis de Puységur, who advanced the science in a direction that Mesmer subsequently disavowed. Using techniques similar to those first developed in Mesmer’s clinic, Puységur claimed to be able to induce a state of hypnosis that allowed the entranced person to gaze clairvoyantly into the bodies of suffering patients to determine the hidden causes of their maladies. This queer medical science was eventually transported to North America in the person of Charles Poyen, a French doctor who realized a great deal of money might be made by styling himself the continent’s preeminent authority on mesmeric healing. After journeying to the French Caribbean with the vain hope that a change in climate would cure him of debilitating digestive discomfort, Poyen began to take an interest in mesmerism as a last-ditch effort to find himself a cure. Conveniently for Poyen, there were plenty of servants (perhaps slaves) on the Caribbean plantation where he made his residence, on whom he tested his powers of mesmeric operation. He soon departed for New England, apparently convinced that he had mastered the new science. During a busy lecture tour throughout the Northeast, Poyen authored the book that became the principal resource for aspiring mesmerists in America: Progress of Animal Magnetism in New England (1837). A lecture in Bangor, Maine the next year produced Poyen’s most significant legacy, when a clockmaker named Phineas Parker Quimby took a seat in the audience. Quimby went on to become a mesmeric operator whose clairvoyant, Lucias Burkmar, offered patients marvelous demonstrations of clairvoyance in auditoria across antebellum America. Quimby later realized that the cures he effected were the result not of animal magnetism, but of the clairvoyant’s power to suggest a belief in sickness or cure in a patient’s mind. He separated from the mesmeric fad, and began teaching his own theories of auto-suggestion or mind-cure to his pupils. One of these students, Mary Glover, used Quimby’s methods to cure herself of crippling pain. As Mary Baker Eddy, she became famous as the founder of one of the largest American-born religions: the Church of Christ, Scientist. Another of Quimby’s disciples was Stanley Grimes, a traveling phrenologist-turned-mesmerist whose lecture tour brought him to Poughkeepsie, New York. One of the curious townspeople to attend one of his sessions was Andrew Jackson Davis, who at the time was a teenage apprentice to a Poughkeepsie cobbler. Although Davis was prone to sleepwalking and had inherited certain supernatural psychic gifts from his mother, Grimes failed to mesmerize the boy. But when another member of the audience, a Poughkeepsie tailor named William Livingstone, wished to try his hand at mesmeric operation, he went to the cobbler shop looking for Davis. Livingstone persuaded the cobbler’s apprentice to sit for another trial, and “magnetized” the boy on his first attempt. The two went on to establish a lucrative clairvoyant medical practice, in which Davis would diagnose the ailments of paying clients while suspended in magnetic trance. 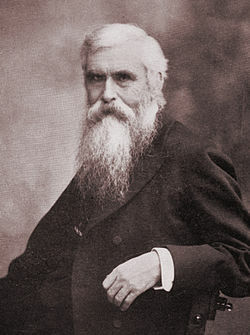 Eventually Davis ditched Livingstone for a better magnetic operator, a holistic physician from Bridgeport, Connecticut called Silas Lyon, with whom he went to New York City. The two continued to earn their living via medical clairvoyance, while Davis enlarged his celebrity by giving the trance lectures that eventually made him a household name among New York City progressives and social reformers. In the duo’s Lower Manhattan chambers, Lyon would magnetize Davis into his most “superior” state of clairvoyance, in which he was capable of transporting his consciousness to places he never visited in a physical body. But the “Poughkeepsie Seer” – as Davis became known – owed his massive rise to celebrity less to parlor tricks, like his uncanny descriptions of the interior decor favored by doubting audience members (many of them surely plants) than he did to more supernatural visions: Davis’ elevated spiritual attunement also enabled him to transport his consciousness to a place he called the Summer Land. This was Davis’ innovative nomenclature for the Universalist heaven to which all souls eventually arrived after their various trials on Earth and beyond. In the Summer Land, Davis conversed with departed men who had completed their spiritual journeys, thereby attaining the higher knowledge that he then purported to transmit in his trance lectures. To admirers like Thomas Lake Harris, Davis’ lectures had the air of invincible truth, and prophesied a great leap forward in human civilization. Critics, however, detected nothing more than a galling plagiarism of the works of Emanuel Swedenborg, which had only recently been translated to English. Davis dismissed these detractors with the unassailable reply that Swedenborg was among his most steadfast spiritual visitors. 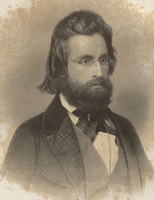 Allies and critics alike later viewed Davis as the harbinger of the social phenomenon known as modern American spiritualism. This capacious term referred to any and all practices of spirit communication through appointed mediums – a fad that spread rapidly throughout the United States after the notorious Rochester Rappings of 1848. In particular, trance mediumship became a popular form of entertainment in the decade prior to the Civil War. During these spectacles, a medium would make herself available to spirit possession by summoning a trance state or slipping into one produced by a mesmerist. Through their accommodating mediums, the spirits of the dead could discourse in public or private by seizing control of the medium’s power of speech. Andrew Jackson Davis is not a name I have seen associated with Jim Jones or Peoples Temple. However, Jones’ practice of listening to unseen spiritual messengers – a practice recalled by Temple survivors who accompanied Jones during the Indianapolis and Redwood Valley phases of his ministry – is one he shared with Davis. Jones’ conversations with entities he called “the Messengers” was a practice with several potential origins or strands of influence. The first of these was his decision to settle among and befriend the members of Christ’s Church of the Golden Rule, an organization formed by Arthur L. Bell in an attempt to shield assets from state seizure. The assets belonged to Mankind United, a Depression-era communal society with branches, known as “bureaus,” throughout California and Oregon. Members of Mankind United followed Bell in the belief that society was careening toward a global totalitarian state that would institute caste-based slavery, overseen by an evil cabal of financiers and wealthy elite known as the Hidden Rulers. Bell had received intelligence of the plot through his recruitment and training in something called the International Institute of Universal Research and Administration. This, he told his followers, was a clandestine academy founded by an alliance of intellectuals and philanthropists who called themselves the Sponsors, who were the declared enemies of the Hidden Rulers. The Sponsors tasked their Institute with devising mechanisms for social reform that might alleviate human suffering by formalizing the practice of Christ’s Golden Rule. Bell explained that graduates of the Institute, known as the Vigilantes, were sent away from the academy in 1934 to begin their work of social transformation. Although there were other Vigilantes at work in the world, Bell asserted that he was the only one to come forward publicly. Bell formed Mankind United under these auspices. The group resembled its many antecedents and contemporaries in the long tradition of American communalism from which it emerged. In fact, one of Mankind United’s model Southern California bureaus was run by a former Angel from one of Father Divine’s West Coast Peace Mission extensions. Bell advocated a form of group industry and pooled labor modeled on Edward Bellamy’s Nationalist movement and illustrated in Bellamy’s bestselling 1888 novel, Looking Backward. Members who joined Mankind United communes donated their possessions and labor in exchange for room, board, and a promised monthly salary that, due to the group’s expansive ambitions as much as to its pecuniary difficulties, never really materialized. Bell claimed to be in communication with his fellow Vigilantes, and often articulated his organizational plans as the will of the Sponsors. This was especially the case whenever a policy appeared to contradict prior Mankind United teachings, or when it seemed otherwise inscrutable to Bell’s devotees. Bell, who became known as the Voice of the Right Idea, assured members of Mankind United that his diktats always corresponded to a larger plan, even if that plan had to remain secret and indecipherable. There is much that might be said about the influence that Mankind United and Christ’s Church of the Golden Rule had on the development on Peoples Temple ideology and quasi-theology. According to Temple survivor Garry Lambrev, Jim Jones often stated that his advice and commands derived from “Messengers” whose authority on such matters could not be questioned, not least because they were privy to cosmic and world-historical schemes that members of Jones’ flock were not yet prepared to understand. Jim would talk about the messengers a lot in the early days. When I talk about early days, they’re basically the first three years I was there: ’66, ’67, ’68. Later he made few if any references to them, at least in public. And he would say, “I’m a channel of the divine, but I’m in a chain of command in which I’m the recipient of orders just as you’re the recipient of my orders. And for things to go well, we have to understand and to listen, and understand and obey. And my orders cover a lot more territory than your orders do, and I’ve got lot more responsibility on me, but I’m still a servant and I depend on the messengers.” And, once, in a meeting in the schoolhouse at Christ’s Church of the Golden Rule [on] Ridgewood Ranch, he said, “I’m very reluctant to let you see, or see images of, these messengers, because I think most of you would be very frightened” – even though there’re not necessarily apparently frightening. But he said, “I’m being told that I should let you see something, so what you’re going to see and hear is basically a mediated version of who these creatures are, who use me as their channel.” And I remember slowly, some very strange noise, and a sense of something almost buzzing in my head, but whether there was anything produced other than maybe recorded music, or self-hypnosis – the results of self-hypnosis– I don’t know. Because often he would stop in the middle of a sentence, and he would say, “I’ve just received something from a messenger,” and you could [see] him listening… and he’d be listening and then he would say whatever he needed to say. And he said that we were heaven’s rebels. That was his phrase. That we had followed temptation, and we had come down to this earth-plane, which was a much cruder form of energy, mind, existence, where there was much lower consciousness, and basically implied that we had mated with some natives here or something like that, which was an old one, and we had become karmically entrapped. And whether he was Lucifer, the one we had followed, or the one who had came to rescue us was a question that I came to focus on in the years after Jonestown. It was Lambrev, as well, whose copy of California Cult: The Story of Mankind United Jones had borrowed at some point in the late 1960s. Garry Lambrev, like the author of this article, is an inveterate bibliophile – a habit he had already well established by the time of his involvement in Peoples Temple. Lambrev recalls lending another book to Jones around this time, and its subject offered Jones a direct introduction to the ideas and character of Andrew Jackson Davis. The book was Thomas Sugrue’s There Is A River, a biography of Edgar Cayce published in 1942. Cayce and his writings are the second strand of occult influence that converged with Peoples Temple in the 1960s. Sometimes now acknowledged as the fountainhead of the rejuvenescent interest in New Age thought that emerged in the 1960s, Cayce already enjoyed a measure of popularity in the alternative-spirituality circles that survived the anti-cult dragnets of the 1940s. He had been practicing a form of clairvoyant medical diagnosis for 41 years by the time Sugrue, one of his former patients, published his biography. As his biographer, Thomas Sugrue, accurately observes, “The story of Edgar Cayce properly belongs in the history of hypnosis, as a chapter in evidence for the theories of Armand Marc Jacques de Chastenet, Marquis de Puységur.” Sugrue identifies Puységur as the discoverer of hypnotism, which indeed is how mesmerism became known in the late nineteenth-century medical community after it reemerged within the newly codified science of psychology, and as a possible surgical analgesic. But by the 1940s, Sugure observed with chagrin, “hypnotism will have nothing to do with clairvoyance; it has renounced its own mother.” In keeping with his nostalgic and purist stance, Sugrue identified Andrew Jackson Davis as the godfather of mesmerism and hypnosis in America, which he believed could not be fairly separated from phenomena of trance clairvoyance. 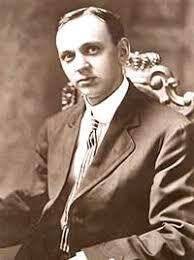 Davis received several mentions in Sugrue’s biography of Edgar Cayce, including a five-page abbreviated life story. Sugrue’s popular book could have fallen into the hands of any number of curious Temple mystics. Since the early days in Indianapolis and continuing into the first years in Redwood Valley, Peoples Temple contained a strong spiritualist element: a self-identified group of about 20 “spiritualists” were among one of the largest multi-person recruitments that Jim Jones managed in Indianapolis. But if Jones had not yet read There Is a River until after he met Garry Lambrev in California, then perhaps the origin of Cayce’s influence in the Temple is owed either to members of Christ’s Church of the Golden Rule, who were devoted students of metaphysics, or to an Edgar Cayce study group that met in Willits, California, near to the Temple’s adopted hometown of Ukiah. Regardless of how Cayce’s writings came to Jones’ attention, Cayce’s work would have introduced Jones and other members of the Temple to Andrew Jackson Davis and mesmeric healing. He is of ordinary stature, with a well-proportioned physical frame, possessing a bilious-sanguine temperament. His features are prominent, and his head is of the medium size, and very smoothly developed, especially in the frontal and corneal regions. The base of the brain is small, except in the region of the perceptives, which are prominent. The head is covered with a profusion of jet-black hair. The expression of his countenance is mild, placid, and indicative of a peculiar degree of frankness and benevolence; and from his eyes beam forth a peculiar radiance which we have never witnessed in another person. Just how Jim Jones reacted to this description, if indeed he got this far through the biography, is not known with certainty. But in Andrew Jackson Davis he would have discovered a predecessor whose charisma led hundreds if not thousands of people to believe in his powers of medical and spiritual clairvoyance, much as Cayce had done in the early twentieth century. Davis was one of countless medical clairvoyants who plied their trade before it was banned by the New York state legislature in 1880. Whether he was a grifter or a sincere believer in the efficacy of his diagnoses and prescriptions is, of course, not a question the researcher can answer without the presence of some kind of smoking gun, such as proof that he relied on faked testimonials given by willing collaborators, or an admission that his cures were due only to luck. In Jones’ case, such proof exists: at later stages in his career, he was willing to admit that he employed any means necessary to effect belief in his healing powers. Jones thought that if reported miracles were what brought people to hear his radical social message, then so be it. Nevertheless, belief persists among some Peoples Temple survivors that, despite admissions of fraudulent cures, some of Jones’ healings were genuine. And apparently, many patients believed had actually healed them. This much is certain, based on surviving testimony and the hundreds of letters Jim Jones received as thanks for the cures he effected, sometimes from a distance or over the radio. As Phineas Quimby taught his pupil Mary Baker Eddy – and as Father Divine, Jim Jones, and innumerable Pentecostal faith healers have demonstrated – a faith cure is successful so long as the patient believes that it was, and failures or relapses can easily be blamed on faltering faith. Some Temple survivors and very many others – including a number of conspiracy theorists – believe that Jim Jones exercised occult powers of hypnosis; attribute his remarkable powers of persuasion to “brainwashing” techniques; or maintain that Jones relied on psychoactive drugs to convince so many people that he was a unique bearer of truth or their personal savior. But the parallel to Andrew Jackson Davis, who more openly practiced a form of occult science, points the way to what remains, for the social historian, a more important question: what were the features of American society and religion in these two men’s lifetimes that caused so many people to want what they said to be true? Bell used more than twenty aliases, including The Voice, The Speaker, The Voice of the Right Idea, Church Trustee, Dept. A., J.J. Jackson, L. Patrick. J.B. Fontaine. L. Osborne, Patrick Chapman, and others. The name under which he swore his testimony in court was Arthur Lowber Osborne Bell. H. T. Dohrmann, California Cult: The Story of ‘Mankind United.’ Boston: Beacon Press, 1958., 79-80. Lambrev, Garry, and Adam Morris. Interview. Oakland, California.Thursday, August 11, 2016. Edited for clarity. Thomas Sugrue, There Is a River: The Story of Edgar Cayce. New York: Henry Holt, 1942. p. viii.